Build bricks, remove them, or change the direction of gravity to get the water to its destination. Some levels take a few minutes to solve, others might take hours! Try to fill all the reservoirs with 100% water in all of the 100 levels. 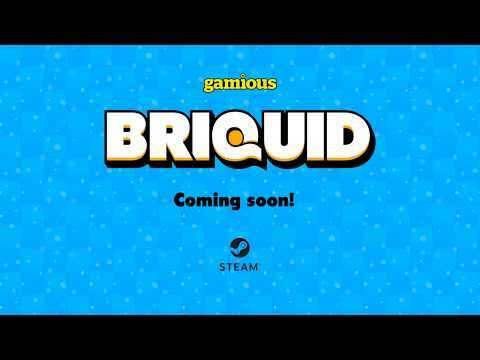 Briquid is a critically acclaimed puzzle game, released a few years ago for mobile devices. For this special PC/Steam edition, the graphics have been updated, new levels are added and a level editor and lots of Steam features have been included. While Briquid was originally released for mobile, its simple yet challenging puzzle gameplay may actually be best suited for PC. 100 levels in the core game, many more in the Steam Workshop. Expert mode after completing all 100 levels. A Level Editor with Steam Workshop integration. Fully localized in English, German, Russian, Brazilian Portuguese, Chinese, Italian, Spanish, French and Dutch. Copyright © 2019 Woovit Inc.